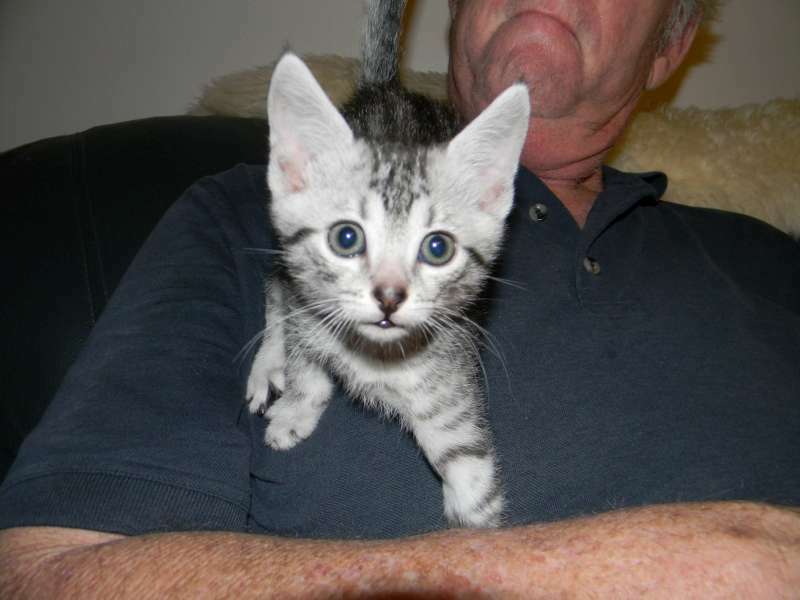 This precious little Silver Egyptian Mau male is going home to Texas with his new family. He has huge black spots and will be a stunning adult. Double Registered with both TICA and CFA, there is nothing like a Mau. 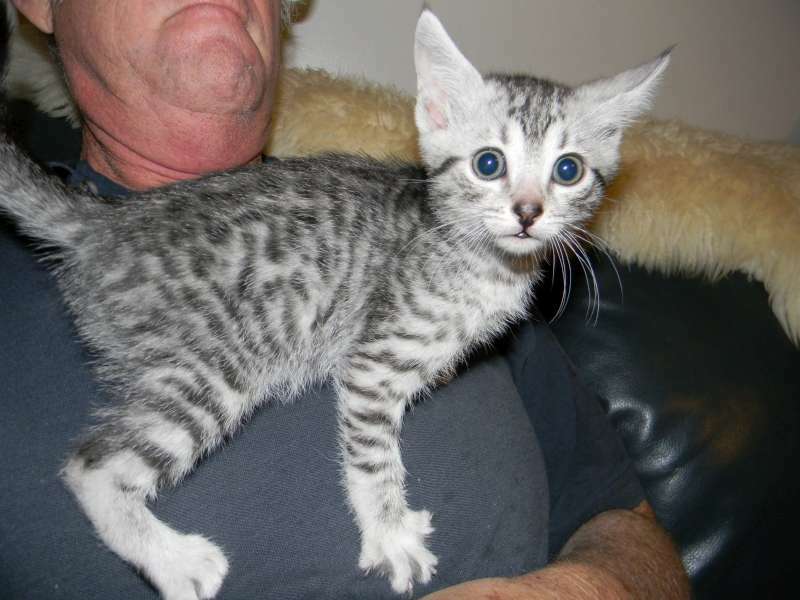 This little Egyptian Mau male has fabulous very black spots and will be a stunning adult. 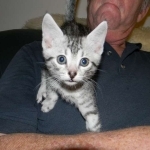 This precious Egyptian Mau boy is the PURRRfect pet for children, families and the elderly. 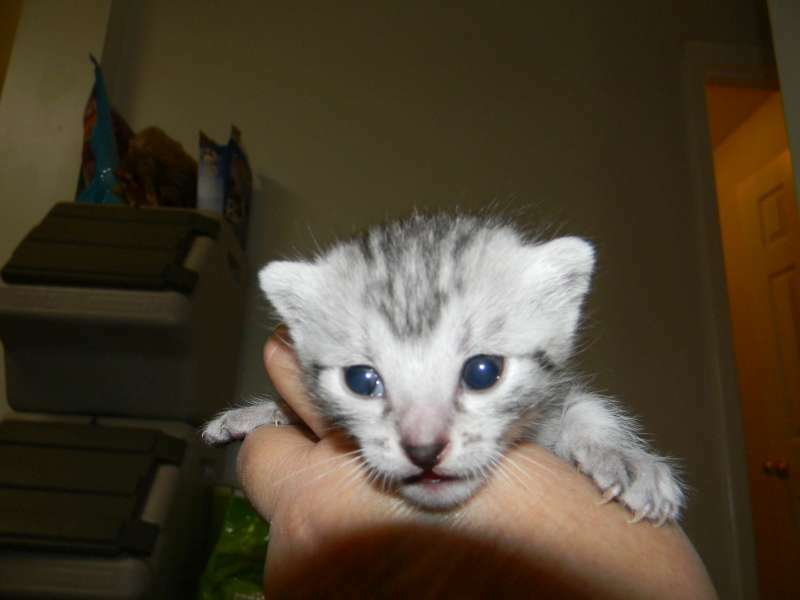 He is double Registered and can go home in time for the Holidays. 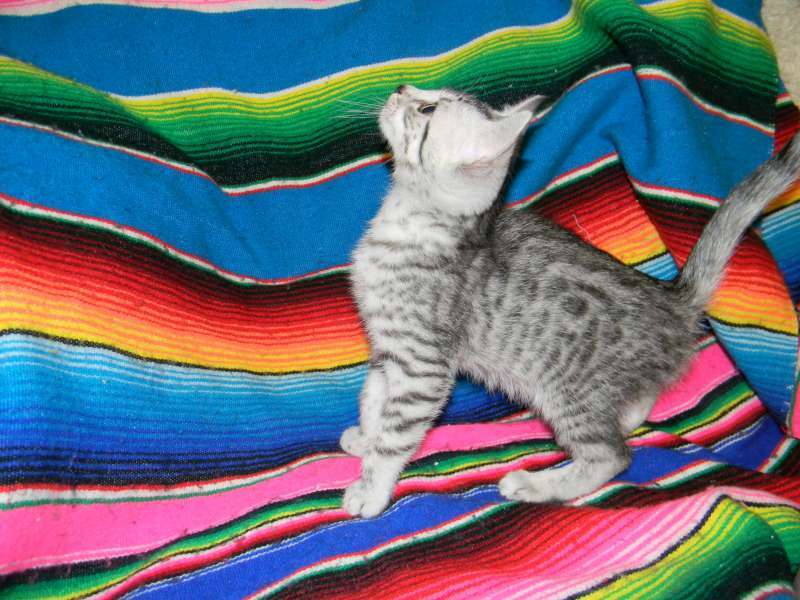 This precious Egyptian Mau boy has Black Black spots on his clear clear silver coat. He will be a spectacular pet. 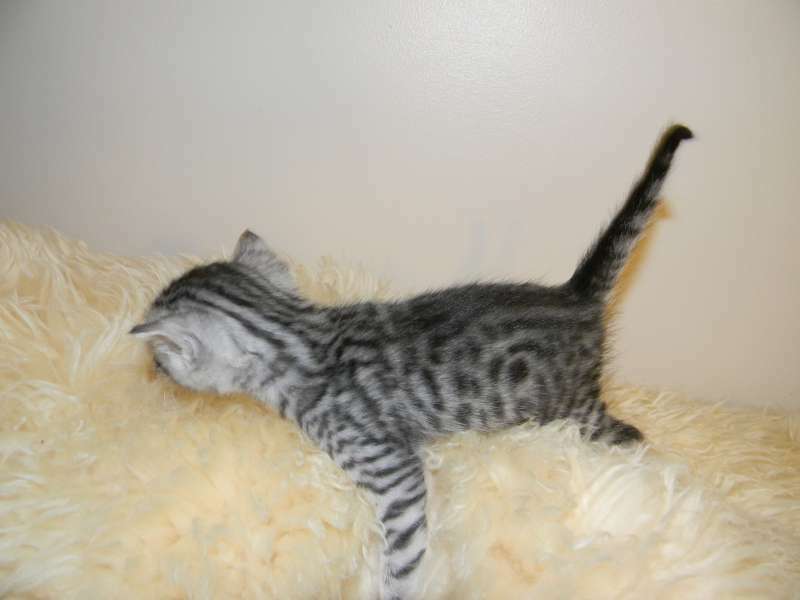 This little Egyptian Mau boy is double registered and sure to please. 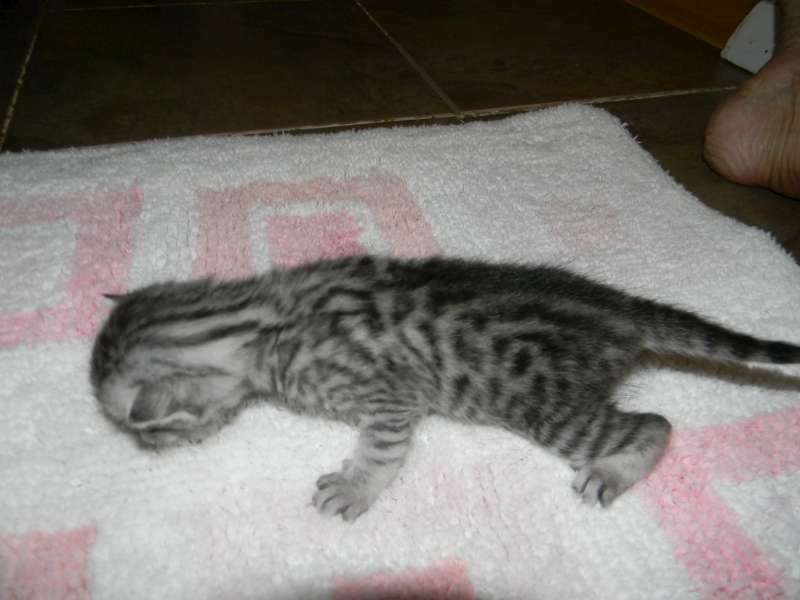 He loves people already and is prepared to steal your heart. 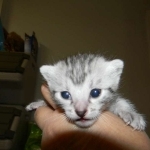 Like deer in the head lights this little Silver Male Egyptian Mau is startled by the camera flash. 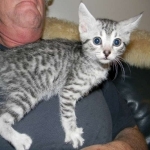 Once he figures out the flash from the camera this little Silver Mau thinks the camera might be a great new toy! 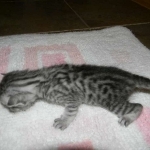 Just wanted to let you know that Anubis has been doing very well and the my daughters are very love with him. He has been a joy to my family and I. Thanks again for providing us such a precious treasure!